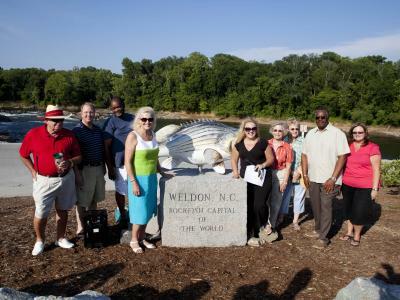 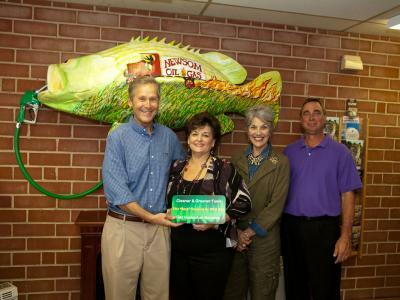 The Roanoke Valley Rocks is a public relations/public art campaign designed to uplift and inspire the Roanoke Valley. 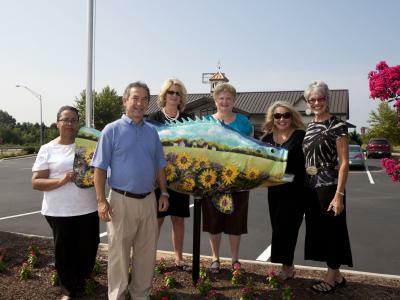 The Halifax County Convention and Visitors Bureau is committed to making the Roanoke Valley a great place to visit. 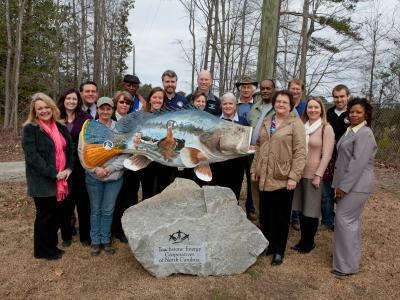 This program has been successful because of the many local businesses that “launched” fish at their locations and supported the project. 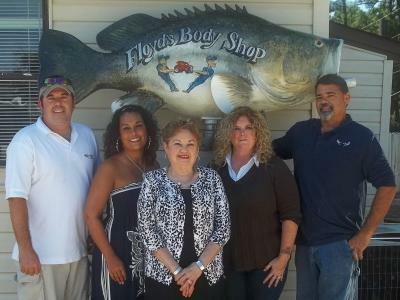 They are all listed on the following pages. 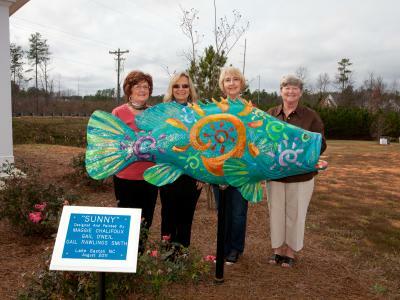 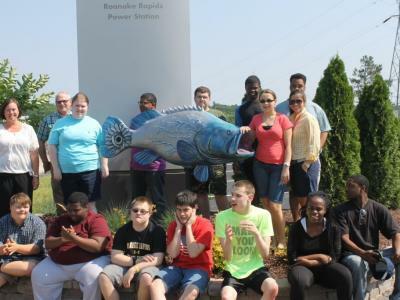 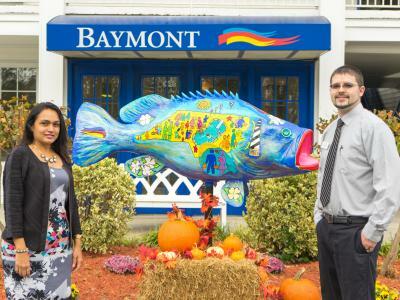 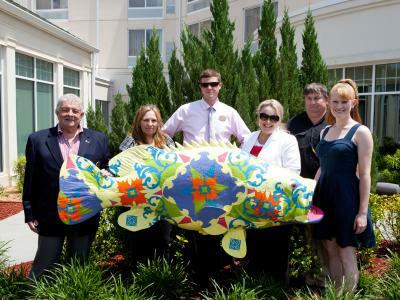 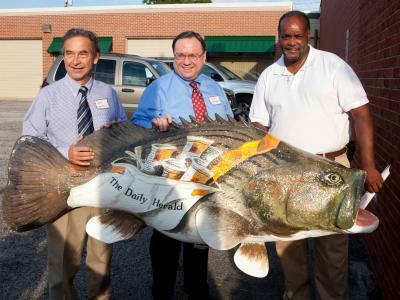 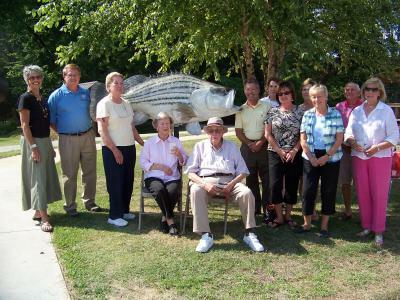 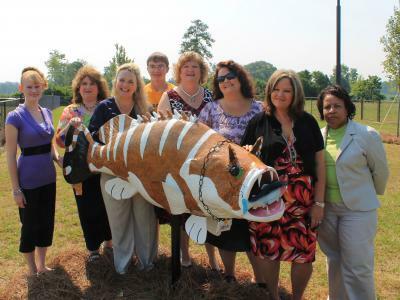 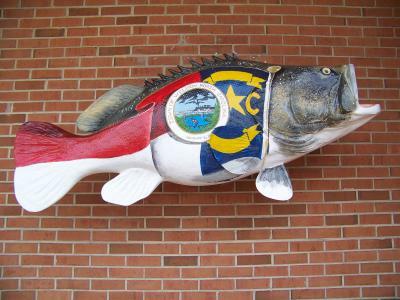 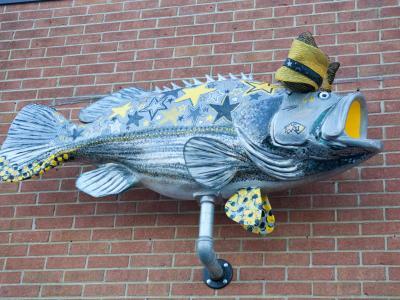 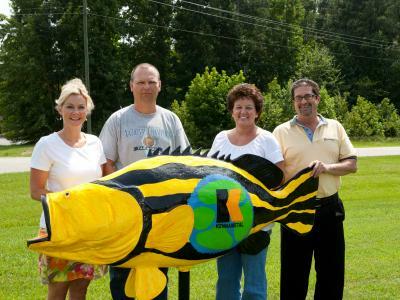 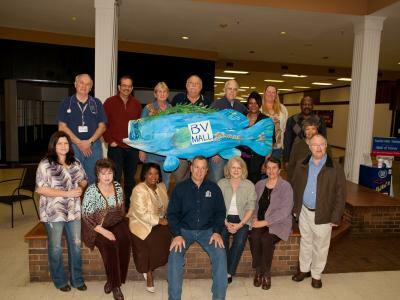 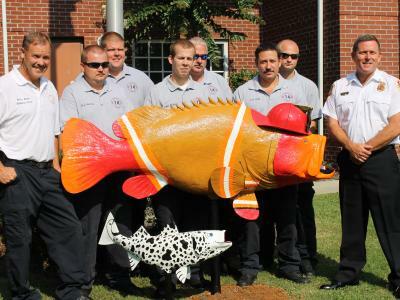 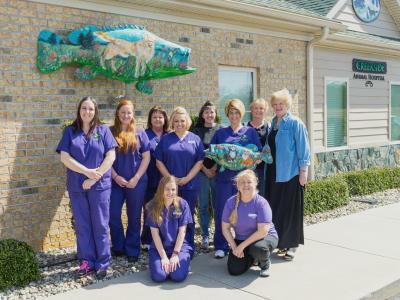 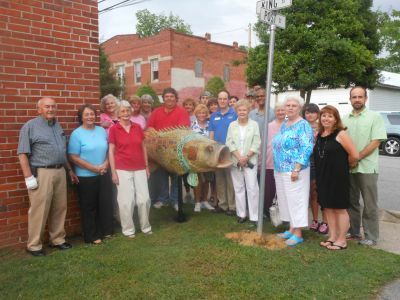 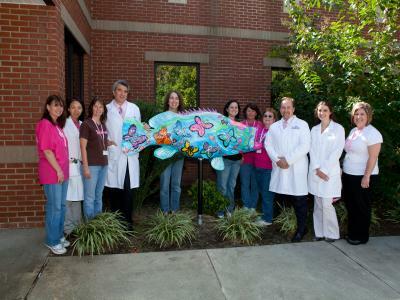 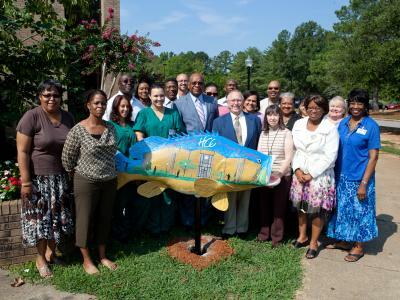 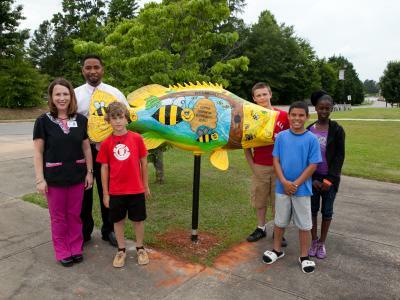 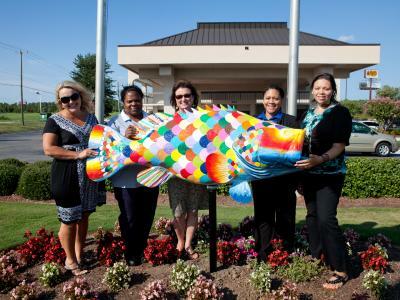 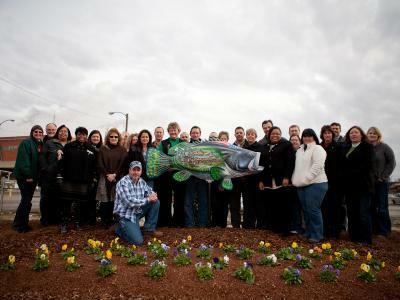 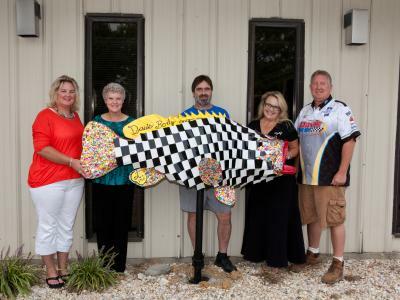 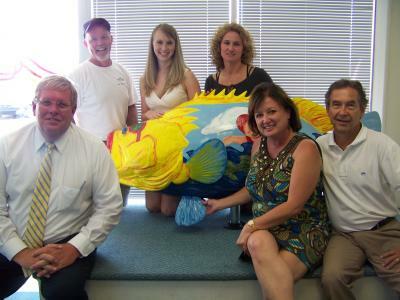 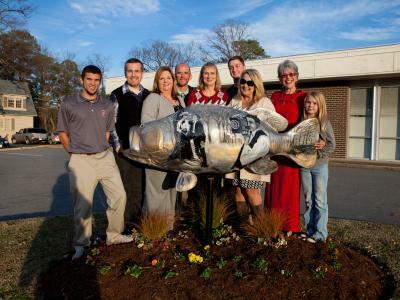 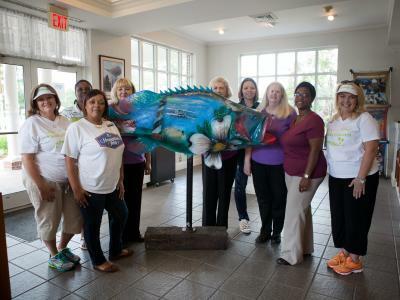 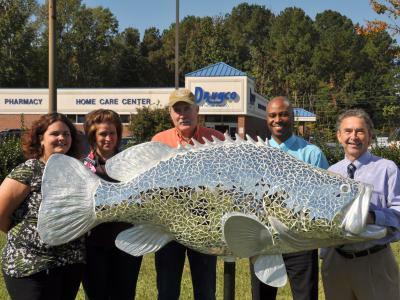 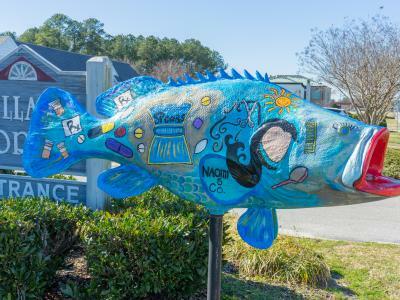 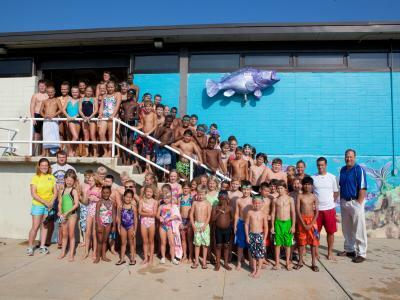 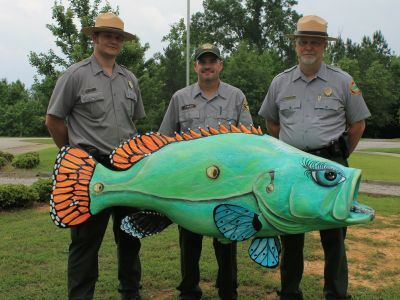 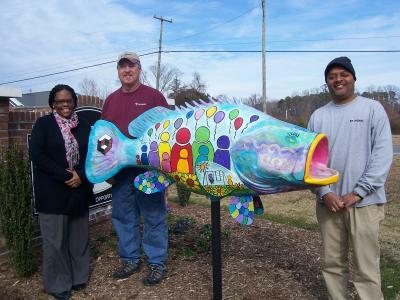 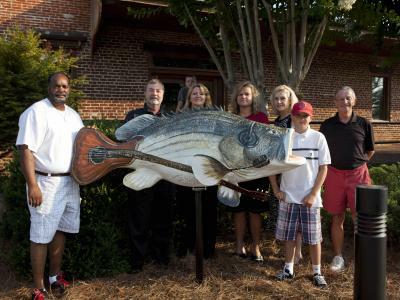 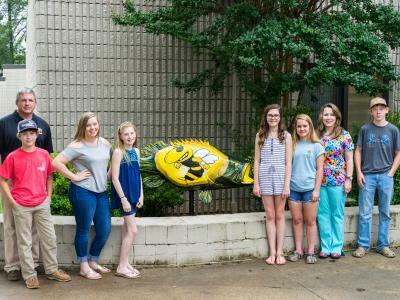 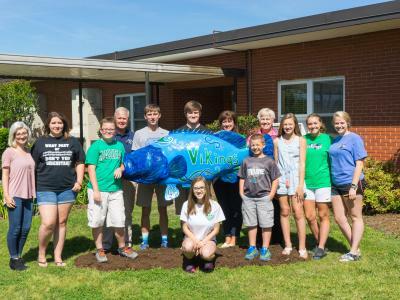 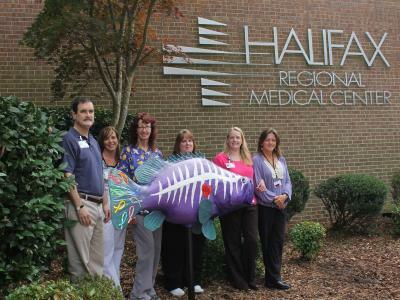 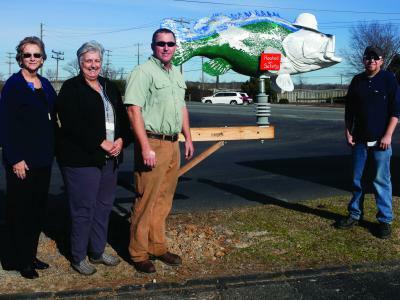 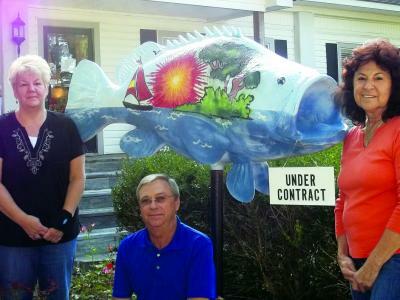 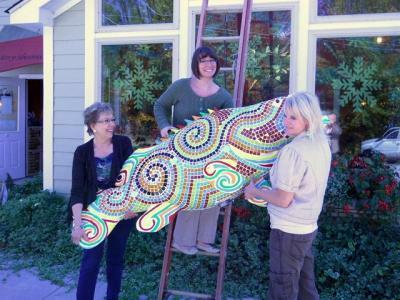 To that end, the highlight of The Roanoke Valley Rocks campaign is a collection of brightly and creatively painted 72” Rockfish statues. 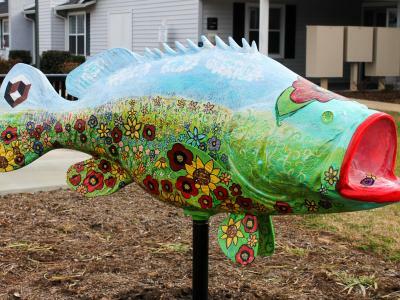 These are installed all around the Roanoke Valley. 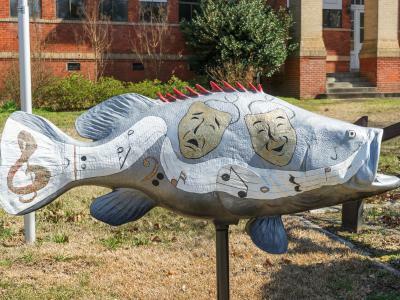 The Rockfish was chosen as our campaign mascot to pay homage to one of the world’s premier sport fish that chooses to return home to the Roanoke Valley each spring. 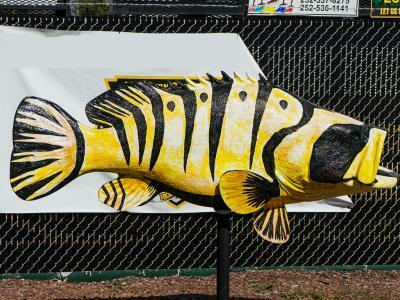 Our intent was for the Rockfish to have a display life of at least three years, beginning June 2011, but we envision these inspirational creatures could remain up indefinitely. 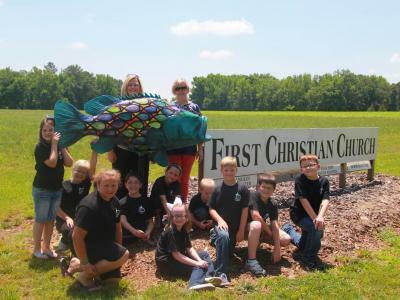 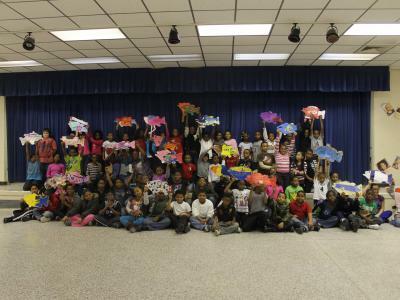 So pack up the kids and tour Halifax County from Hobgood to Littleton! 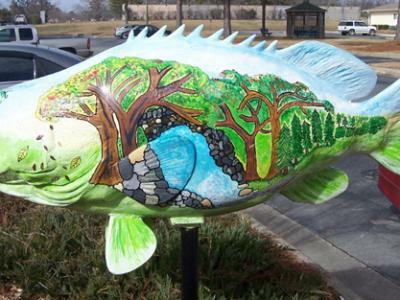 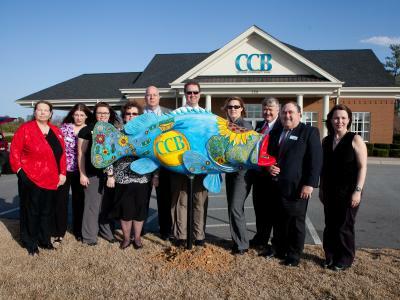 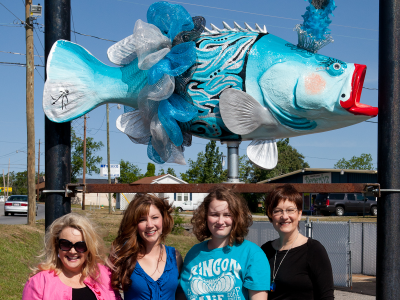 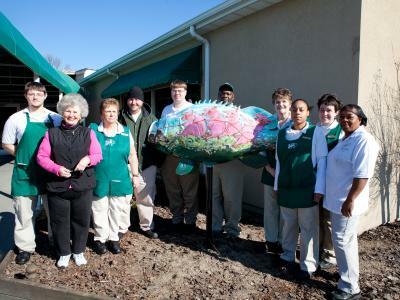 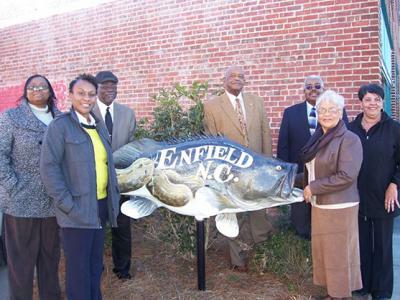 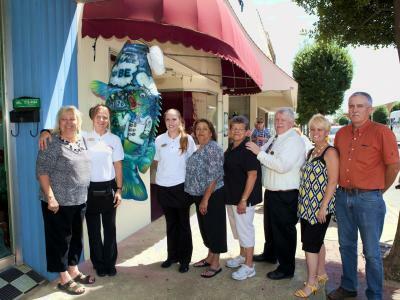 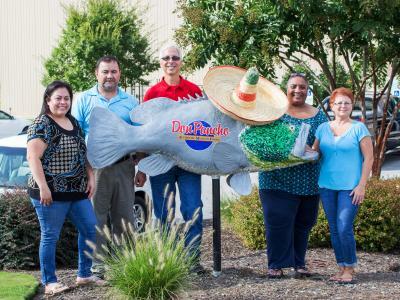 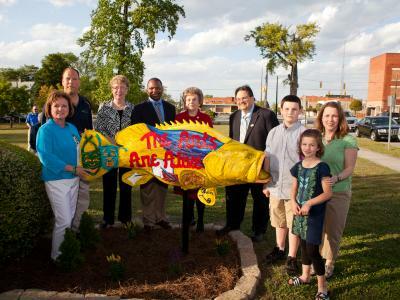 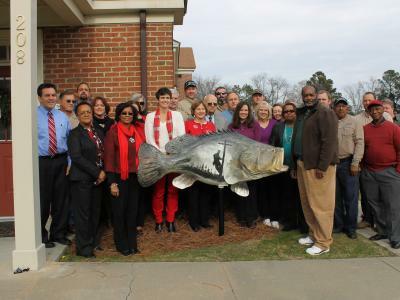 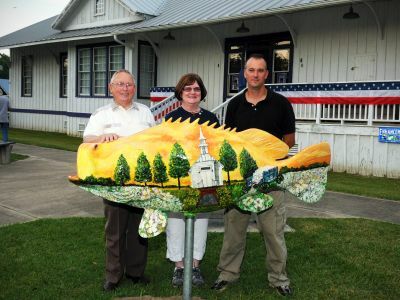 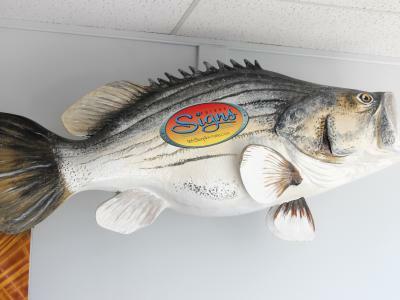 These “fish” are located in front of most businesses, but some are inside. 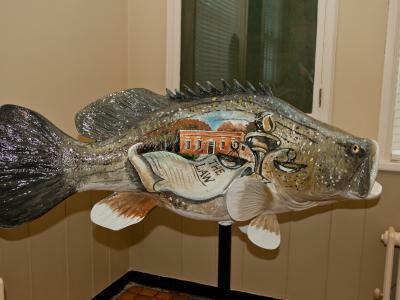 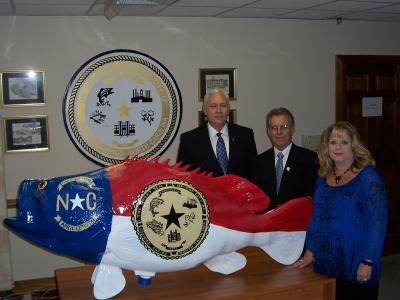 Once you have seen them all, stop by the Halifax County Visitor Center, located at 260 Premier Blvd. 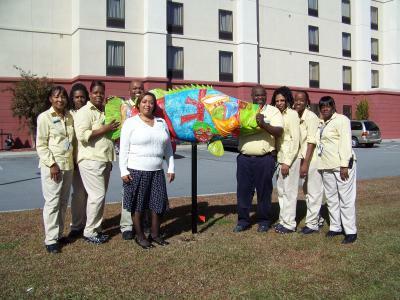 in Roanoke Rapids and pick up your free tee shirt! 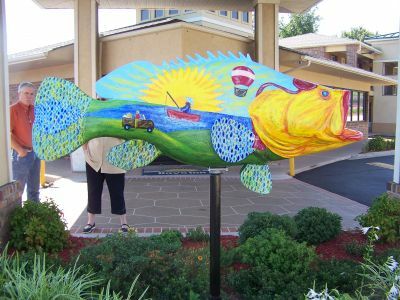 Happy “fishing”!